Bandi-Trazos, a gallery specializing in Latin-American and Spanish Art which has its headquarters in Shanghai (China) and Seoul (Korea) as well as offices in Toronto (Canada) and Montevideo (Uruguay), is the core gallery of the Latin American Pavilion, operating in Asia since 2007 and the one to inaugurate this year’s anticipated American Pavilion at Shanghai Art Fair. For the last 6 years, Bandi-Trazos has worked in various parts of the Asia continent promoting and developing art from Latin-American and Spain making possible over 80 events throughout Asia, with the presence of more than 60 international artists. “Bandi-Trazos, Shanghai headed by its Director, Ahn Jinog is committed to keep playing a singular role in its cultural mission of bringing to the Orient a new expression of art, by marking its presence in the most highlighted international fairs of Asia,” added Cirillo. From September 14-18, 2011 and with utmost anticipation, the XV edition of Shanghai Art Fair is coming together to form a whole cultural context between nations from the East and the West converging on the Hong Qiao Development Zone, at ShanghaiMART, China”s gateway to world trade. The first American Pavilion to be formed in this 15 year old international art fair, inside a world-class building with more than 37,000 square meters of exhibition space, will present to overseas and domestic collectors, a window of an art selection that has a distinctive curatorial appearance. From representational sculptures to abstract installations to contemporary galleries the American Pavilion will present a fresh outlook of varied themes about the channels in which artists from the West bring inspiration and ideas to the East interlacing a cultural compatible bridge in unprecedented ways. The American Pavilion will tell the story of the American essence, a place of opportunity and diversity where artists from all countries come together to change a landscape for the better. “Uniting strong US galleries, artists, curators and mass media outlets have been one of my priorities as the Associate Director of the American Pavilion,” says Aldo Castillo who believes that success of any profitable global art market requires a prominent artistic venue, a quality of the art exhibited and the strength of the international press-media to properly publicize it. “The majority of artists today uses mass media as inspiration, found objects and materials as their canvas mixing, art, design, theater, advertising and lifestyle,” says Inez Suen, Curator of the American Pavilion Shanghai Art Fair 2011 and Director of the International Chinese Fine Arts Council. “This new internationally aware, relentless self-promoting generation fueled by the digital revolution, is challenging academia and redefining the roles of the art world,” she adds. An innovative opportunity for artists and young American galleries is currently on the market at the American Pavilion with 10-solo exhibition booths that will be available for those who demonstrate the ability to communicate the visual language and personality of the urban American cities to the Chinese market. 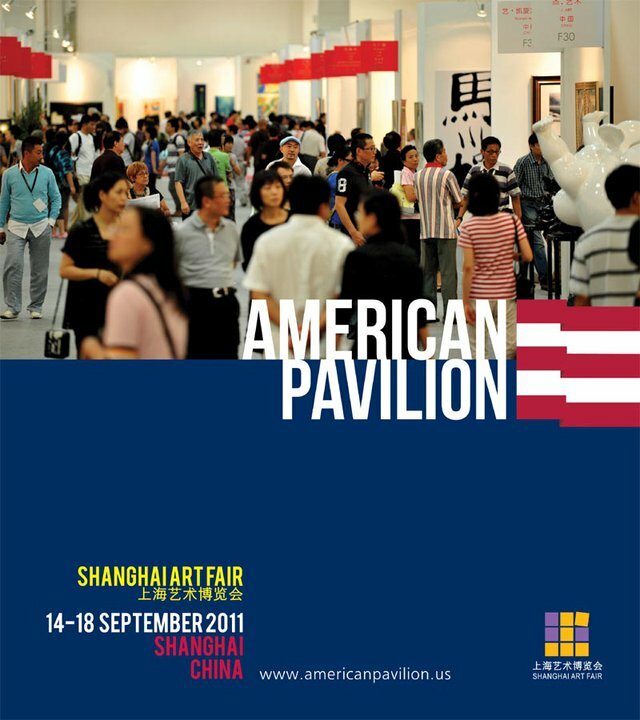 At the 2nd largest market in the world, and at the world”s largest consumer base, the American Pavilion Art Shanghai 2011 will greatly surprise visitors to show them how the exotic western landscape juxtaposes in the Shanghai contemporary art scene. This event is organized by Bandi–Trazos, a Gallery established in Shanghai, China and Seoul Korea since 2006 developing artists from South and North America. The American Pavilion follows in the footsteps of the Latin-American Pavilion, also organized by Bandi-Trazos in 2007. Bandi-Trazos continuous playing a major role through its cultural commitment to organizing events such as these at many of the most important international art fairs in Asia. El evento se hace con el propósito de recaudar fondos económicos para consolidar el Museo Rayo y preservar el patrimonio artístico. 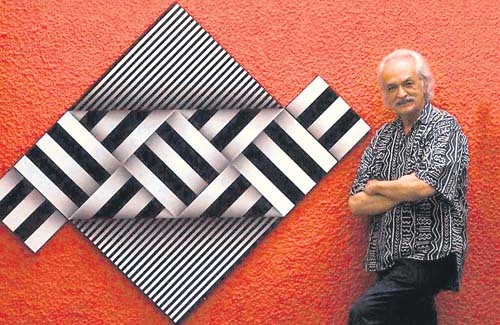 Las obras de artistas como Beatriz González, Eduardo Ramírez Villamizar, Nadín Ospina y Joaquín Restrepo estarán en la subasta que se hará el próximo 29 de agosto en el Club El Nogal. Otros beneficiados serán las viudas y huérfanos de los miembros de la Policía Nacional que hacen parte de la Fundación Corazón Verde.